WALKLEY-award winning TV journalist Liz Jackson has died in her sleep on a holiday in Greece after a battle with Parkinson's disease. Ms Jackson reported on politics and war for ABC's prestigious current affairs program Four Corners for some 20 years. In 2005 she became the first female presenter of the public broadcaster's Media Watch. 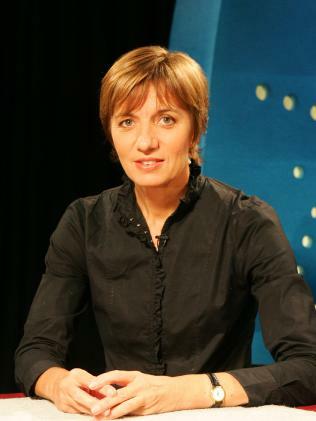 During her career, she won nine Walkley awards for excellence in journalism, including the Gold Walkley in 2006, and three Logie Awards. She received her most recent Walkley - the 2017 Documentary Award - for A Sense of Self, based on her account of her descent into Parkinson's. Ms Jackson's family today issued a statement to the ABC about her death. "Liz was an inspiration to many and a legendary figure at the ABC, committing her life to public interest journalism," the statement read. "We are enormously proud of her work. "Liz has struggled in recent years with Parkinson's disease. "She died peacefully in her sleep while on holiday in Greece with [her husband] Martin [Butler] by her side on June 27, 2018." Liz Jackson in a promotional photo when she was announced as a new host for Four Corners in 1994. The ABC today issued a statement which read: "We are profoundly saddened by the death of Liz Jackson, our wonderful friend and colleague and one of Australia's finest journalists." ABC Managing Director Michelle Guthrie described Ms Jackson as "one of the greats of the ABC, an incredible journalist who inspired all around her and who Australians turned to with complete trust". "Her work has informed and shaped this country. Her enormous talent, fearless integrity and unflinching courage will serve as a beacon for many generations of journalists and storytellers to come," Ms Guthrie said. In 2013, Ms Jackson left the ABC as her health deteriorated and she started to lose her physical strength and ability to write. "I'd looked forward to getting fit and healthy and seeing more of my friends. But it proved to be the opposite," Ms Jackson said at the time. She told of her struggle with Parkinson's in an episode of Four Corners in 2016 in which she documented her experience as she tried to understand her illness, questioned doctors and compared notes with fellow patients. But according to her, it wasn't easy to reveal the news to the world. "This is a very hard story for me to tell because it involves exposing my current condition to a public audience," she said on the show. Ms Jackson's partner Martin Butler, who collaborated with her in the making of the program, revealed none of the medication or treatment that she had been receiving worked to help her. Ms Jackson graduated from the University of Melbourne before studying law in London. 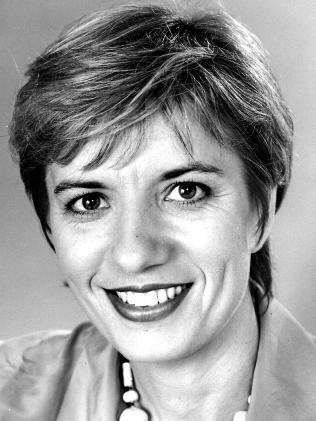 She joined the ABC's Radio National in 1986 before joining Four Corners in 1993. Liz Jackson died on June 27, 2018. Then Media Watch host Liz Jackson at the ABC set in Ultimo, Sydney.